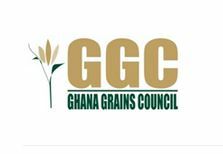 The Ghana Grains Council (GGC) is a private sector-led initiative formed in 2010 with funding from (The United States Agency for International Development (USAID). It is a body formed by leaders in the grain business with the aim of intervening in the grains value chain to achieve improvement in productivity, quality and greater commercialization of the industry with its core objective to promote the development of the grain industry through the development and use of the Warehouse Receipt System (WRS), facilitate grades and standards and ensure increased productivity for the grain industry. • This position will provide general day-to-day support to GGC to strengthen the institutional capacity of the council to effectively manage its financial resources and facilitate execution of programs/projects and internally generated funds. • Should have the ability to provide accurate, complete and timely financial information compliant with the rules and regulations of donors and other partners reporting requirements as well as adhering to generally accepted accounting principles (GAAP). He/she will also act as the point person for the GGC Market Intelligence Team. • Ensure that the financial system runs properly in order to process financial information and generate accurate reports. • Manage risks affecting GGC’s assets and make sure risks are maintained at a lower level. • Responsible for all aspects of cash management including monitoring receivables, billing staff and collection of debt and managing pre-payments. • Responsible for processing of all cheque payments. • Maintenance of the general ledgers of all GGC Membership, Internally Generated Fund (IGF), and any other accounts operated under collaborations with grant funded projects. • Prepare staff salary payroll on monthly bases, issuing monthly pay slips to all staff and making timely payments of all statutory deductions to the appropriate agencies. • Monthly submissions of previous month’s Financial Status Report and other related statements, i.e. general ledger, bank reconciliation statement, cash analysis statement, etc. • Preparing of end of year Financial Statement in readiness of the annual audit. • A minimum qualification of first degree in Accounting or Finance and affiliation to a professional body. • Must have a minimum of 4 years work experience and possess a good knowledge of International Financial Standards including budgeting and controls. • Must have good knowledge of applicable local statutes, laws, codes and regulations. • Must be great team player, pro-active, diligent and results oriented.